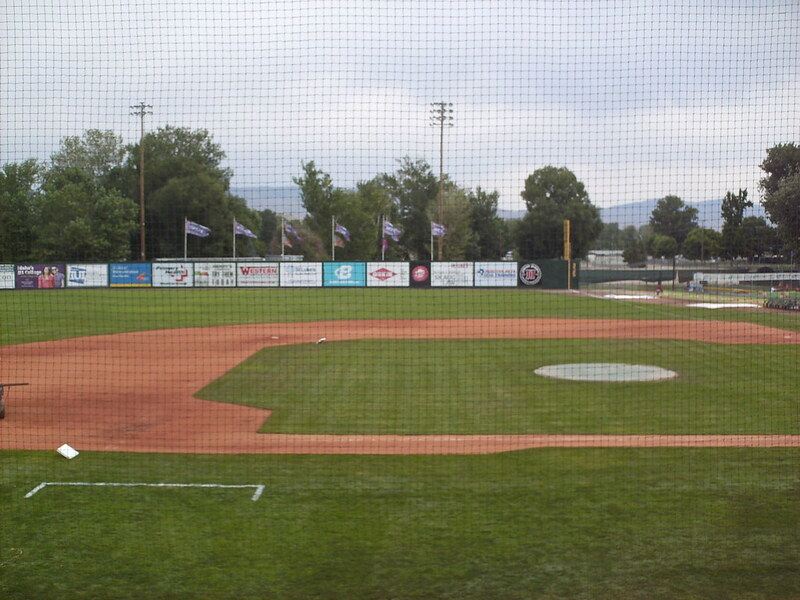 The view from behind home plate at Memorial Stadium. 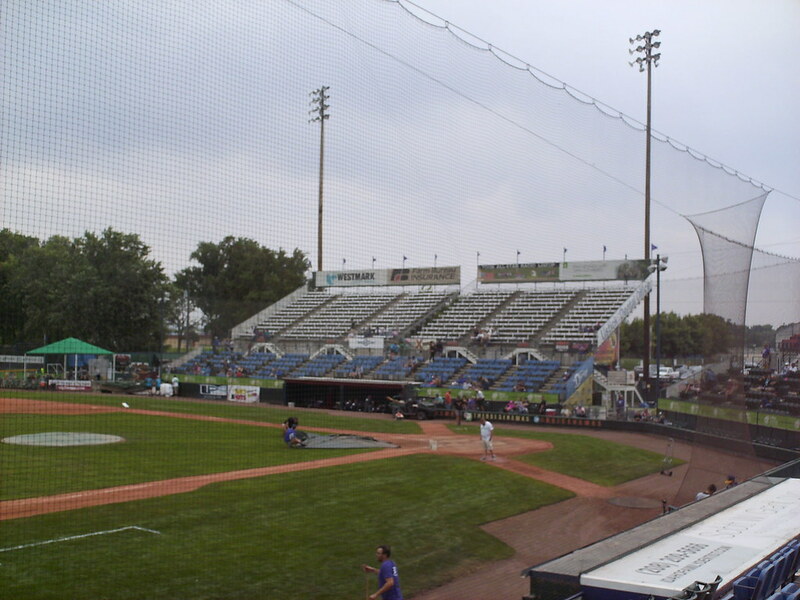 The grandstand at Memorial Stadium, as seen from the right field corner. 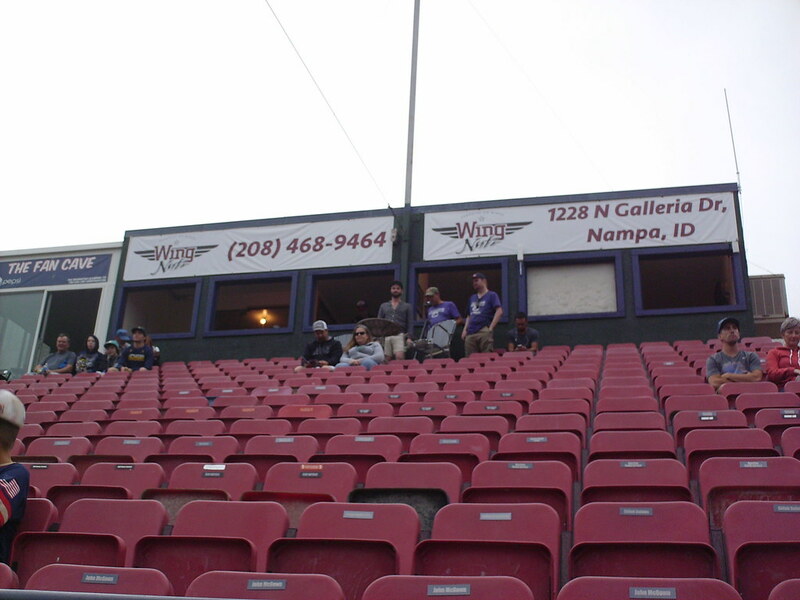 The seating bowl is made up of several separate large, steep concrete sections. 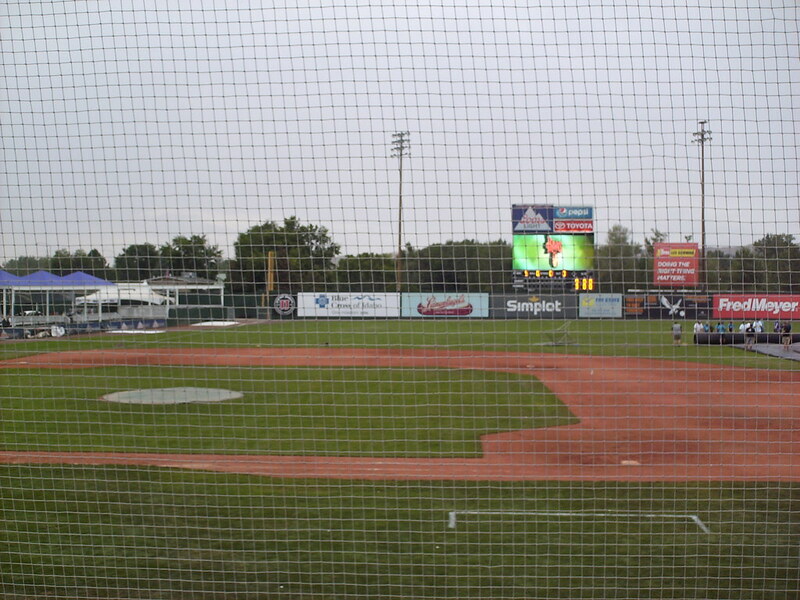 The pressbox and several small luxury suites sit atop the center seating section behind home plate. 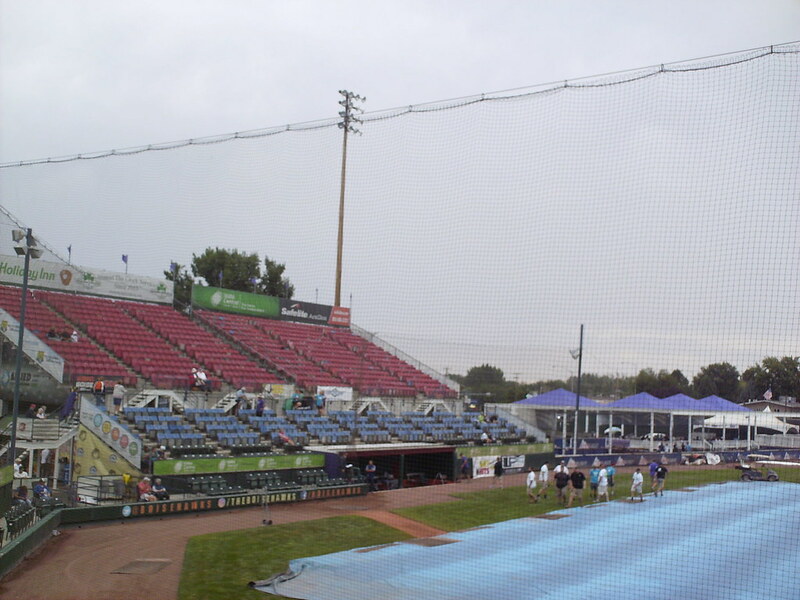 A single row of seating sits at ground level between the concrete stands and the backstop. 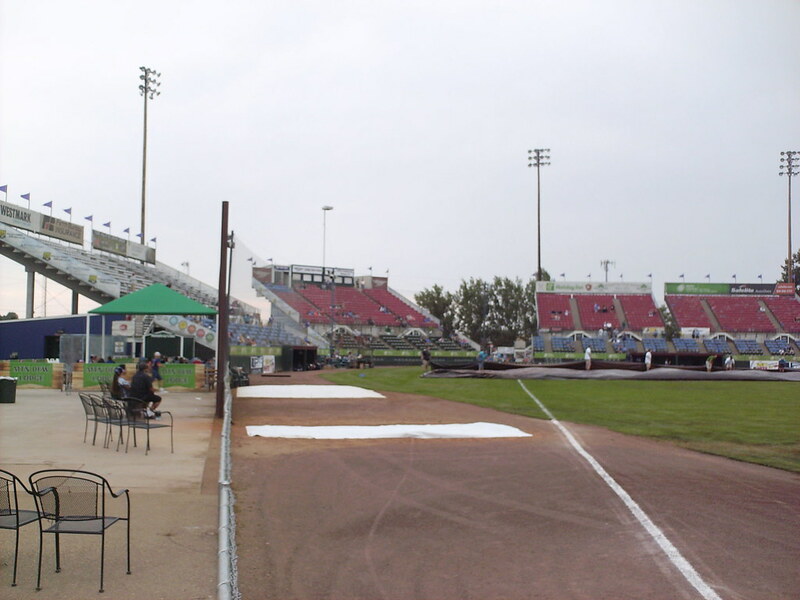 The third base stands feature all plastic seating with red seats up top and blue seats overhanging the dugout. 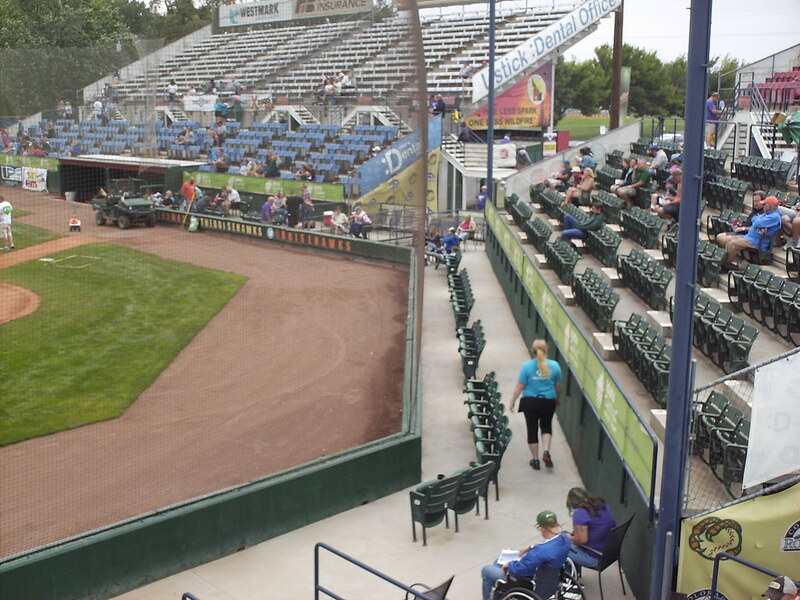 The first base stands feature aluminum bleacher seating in the top half. 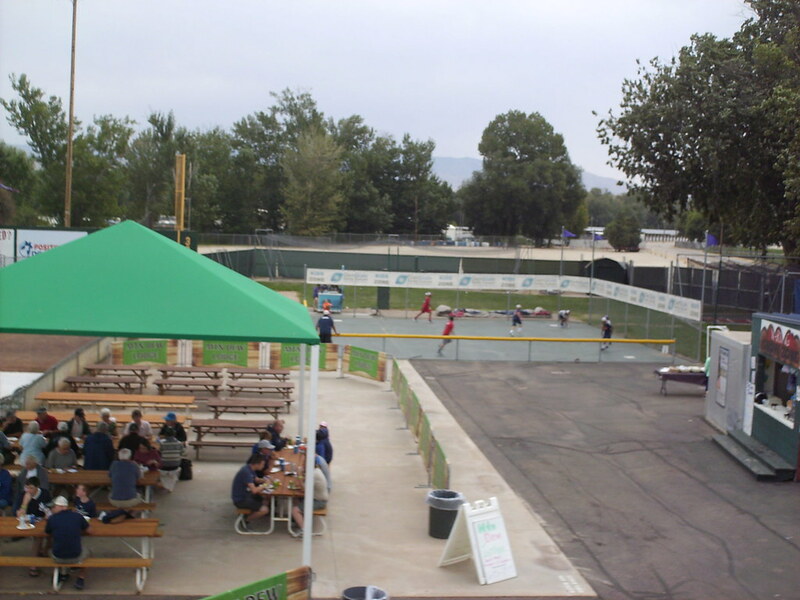 Picnic table seating and a children's play area with a wiffle ball field sit in the right field corner of the ballpark. 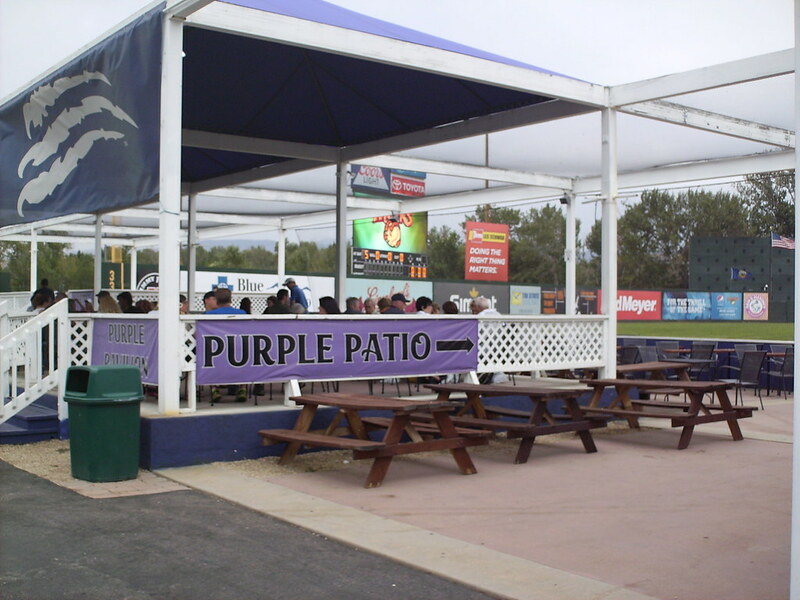 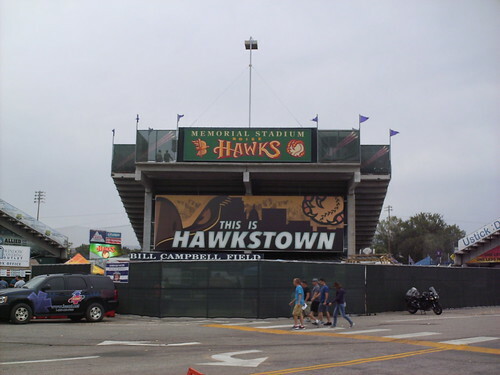 The Purple Patio group seating area sits in the left field corner at Memorial Stadium and celebrates the Hawks affiliation with the Colorado Rockies. 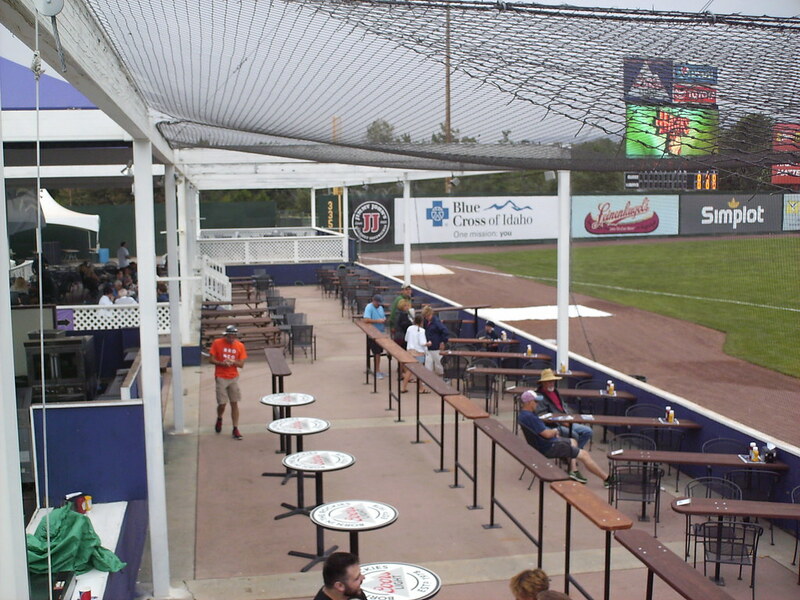 The patio features a picnic deck, a bar, and table seating running down the foul line. 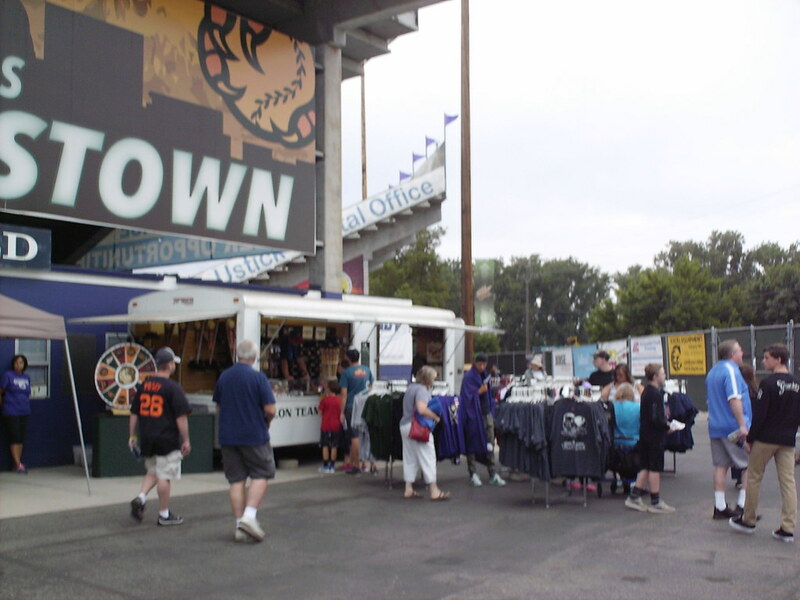 The outdoor concourse at Memorial Stadium, running behind the concrete stands. 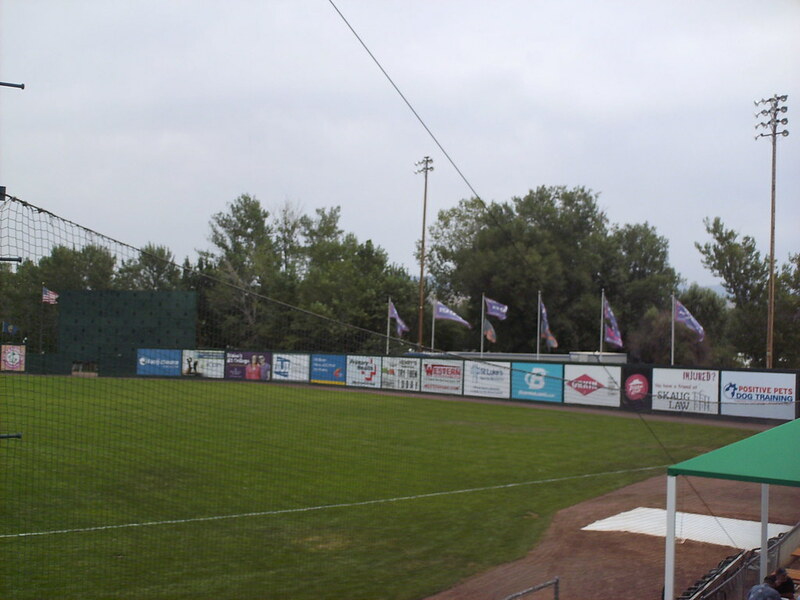 The outfield wall, with flags behind it celebrating the Hawks Northwest League titles. 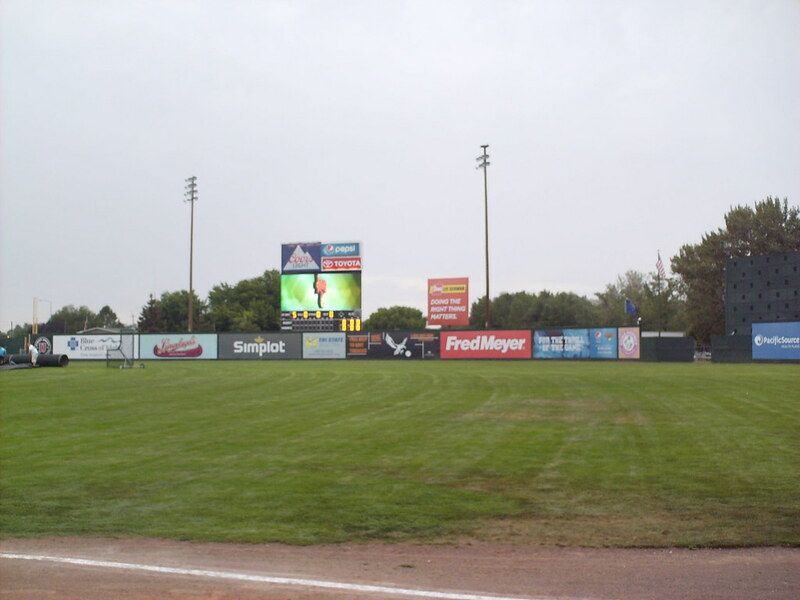 The scoreboard sits behind the left field fence. 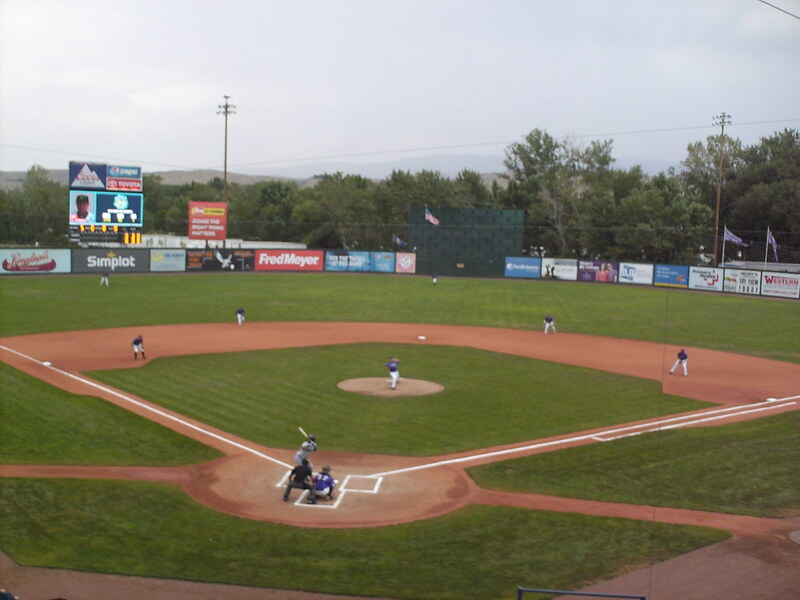 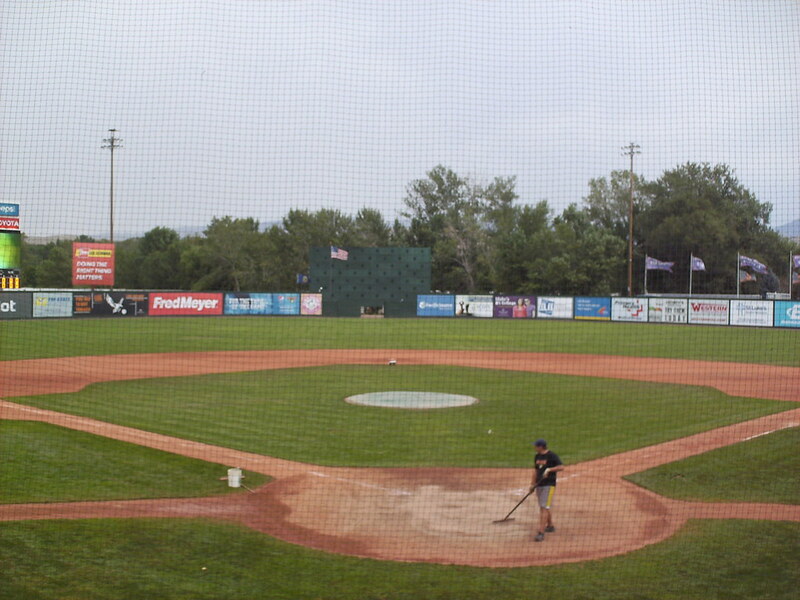 The Boise Hawks on the field during a game at Boise Memorial Stadium.